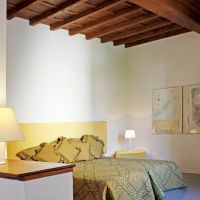 Nine apartments are located in a 19th century Poggio Imperiale building overlooking Piazzale di Porta Romana, in front of Boboli Gardens and the medieval walls that enclose the historic center of Florence. 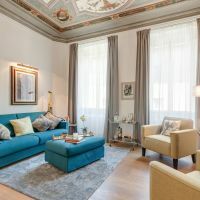 Other apartments are situated inside the historic center in the areas of Oltrarno-San Frediano, Santa Maria del Carmine, Duomo, Ponte Vecchio, Basilica di Santa Croce, Santa Maria Novella train station, Piazza Ferrucci, Piazza della Libertà and Fortezza da Basso. 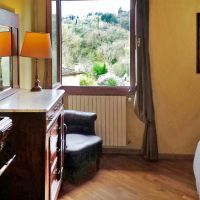 We also offer apartments outside the historic center located in the hills above Porta Romana and a country home in Pozzolatico. 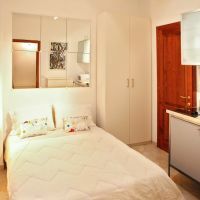 One bedroom apartment facing large terrace plus living room with sofa bed . 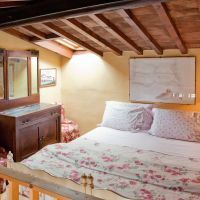 Ideal for short breaks as a couple or family with children. 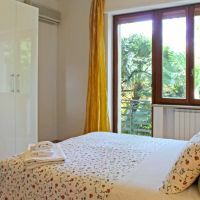 Large studio with a queen size bed, kitchen corner, living room area with fold out sofa bed facing large terrace. 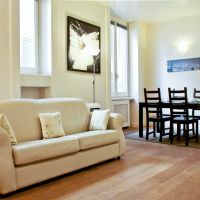 One bedroom apartment plus living room with sofa bed . 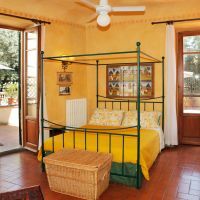 Studio facing large terrace, located on the first floor of a 1860's villa in Porta Romana quarter. Ideal for short or long breaks as a single person. 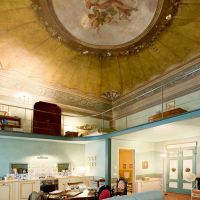 Magnificent loft with frescoed ceilings in historical palace near S.Croce. 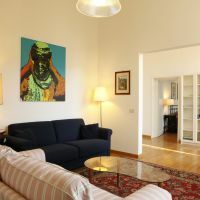 Penthouse nestled in the heart of Santa Croce area. 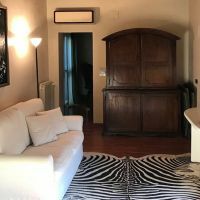 Two room apartment located near Santa Maria Novella. 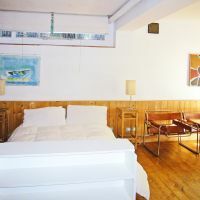 Ideal for short or long breaks as a couple or family with children. 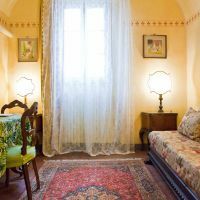 2 bedroom, 2 bathroom apartment in the historical quarter of S.Frediano. 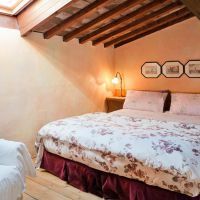 Ideal for short or long term breaks for one or two couples. 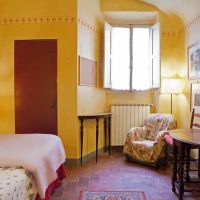 VIA DEL LEONE One-bedroom apt. 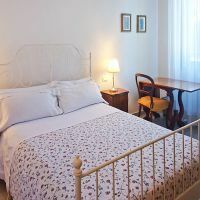 One bedroom apartment in the old quarter of "S.Frediano"
Studio/flat in the old quarter of "S.Frediano"
4 bedroom apartment on the top floor of a building located in the historical quarter of San Frediano in the Oltrarno area. 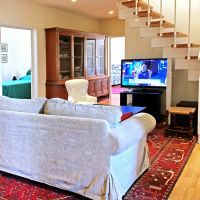 One bedroom apartment plus living room with sofa bed and full size kitchen. 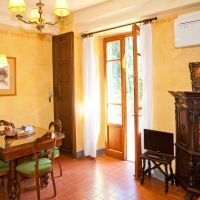 Ideal for long term stay as a couple or family with children. 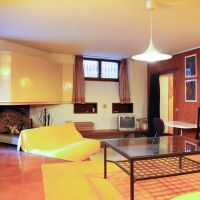 Situated in a quiet residential area on the southern part of Oltrarno, on the groundfloor of a 3 floors building. 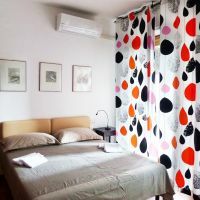 Ideal for long term stay for students. 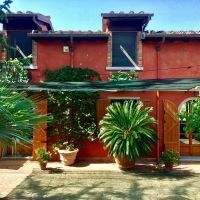 In the hills of Impruneta, independent home with garden. 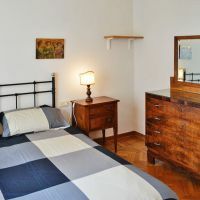 Ideal for a family with children long term stay. 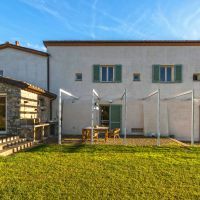 Charming truly one of a kind renovated private home with cottage style garden and swimming pool nestled in the rolling hills of Florence. 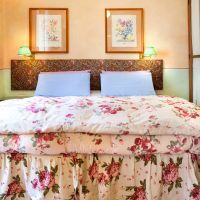 Thanks to the large availability of apartments, Poggio Imperiale is a practical and quality way to visit Florence. 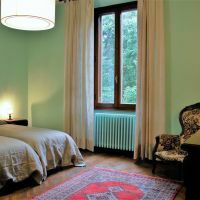 We have different types of apartments in different areas of town. 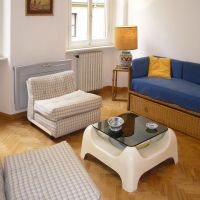 Each apartment has its own identity and style.